Opgenhaffen, L., Jeffra, C., and Hilditch, J. 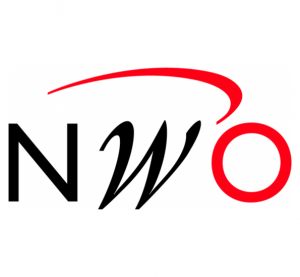 ‘Power to the people: 3D archives for exploring ancient ceramic technology‘, paper presented to the Centre for Digital Heritage meeting 2018: 3D Archives, (Re)Use and Knowledge Production’, Lund (Sweden), 18 – 20 Jun 2018. Hilditch, J., and Jeffra, C. ‘As the world turns: technological approaches to assessing ceramic production within and beyond the palaces in the LB Aegean’, paper presented to the 19th International Congress of Classical Archaeology: Archaeology and Economy in the Ancient World, Cologne/Bonn, (Germany), 22 – 26 May 2018, during the session Production Beyond the Palaces: Technological and Organizational Aspects of LBA Ceramic Manufacture. Opgenhaffen, L. ‘Back on the turntable: Visualizing the potter’s wheel with 3D technology’, paper presented to the Digital Archaeology Group meeting, Leiden (NL), 8 Feb 2018. Opgenhaffen, L. ‘The dark side of the pot: problems in 3D visualisation of archaeological ceramics’, paper presented to the Dutch Ceramics & Glass Research Network Meeting, Amsterdam (NL), 8 Dec 2017. Jeffra, C. ‘This is not the method you’re looking for: experimental archaeology for Tracing the Potter’s Wheel’, paper presented to the Dutch Ceramics & Glass Research Network Meeting, Amsterdam (NL), 8 Dec 2017. Hilditch, J., Jeffra, C., and Opgenhaffen, L. ‘3D techniques for visualising, analysing and interpreting technological innovation in the Bronze Age Aegean’, paper presented to the Meeting Of The European Association of Archaeologists, Maastricht (NL), 30 Aug – 2 Sep 2017, during the session Hidden Stories. 3D Techniques as Tools for Exploring Archaeological Assemblages. Opgenhaffen, L. ‘A 3D reference collection of wheel-fashioned pottery’ paper presented to the Meeting Of The European Association of Archaeologists, Maastricht (NL), 30 Aug – 2 Sep 2017, during the session 3D Technologies in Archaeological Documentation, Analysis and Interpretation. 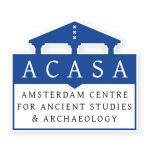 Hilditch, J., Jeffra, C., Opgenhaffen, L. ‘Tracing the potter’s wheel (TPW): investigating technological trajectories and cultural encounters in the Bronze Age Aegean’, paper presented to the University of Amsterdam ACASA Research Meeting Archaeology, Amsterdam (NL), 7 June 2017. Hilditch, J. ‘Tracing the Potter’s Wheel: Integrated Digital Approaches to Ancient Technology’, paper presented at the Re-enactment, Replication, Reconstruction: Interdisciplinary Workshop on Performative Methodologies at the Lorentz Centre, Leiden (NL), 12-16th June 2017. Jeffra, C. ‘The intersection of experimental archaeology and the chaîne opératoire approach in ceramic study’, paper presented to the Experimental Archaeology Conference EAC10, Leiden (NL), 19-22 April 2017. Jeffra, C. ‘Exploring Pottery Production through Experimental Archaeology and Macroscopic Analysis’, paper presented to the Dutch Ceramics & Glass Research Network Meeting, Leiden (NL), 17 Feb 2017. Opgenhaffen, L. ‘The use of 3D visualization for ceramic analysis’, paper presented to the Dutch Ceramics & Glass Research Network Meeting, Leiden (NL), 17 Feb 2017.